In conjunction with the network television movie, Hodges will also release a modern country take on the classic holiday song “Joy to the World” on Tuesday, November 5, 2013 via iTunes. The movie is part of Hallmark Channel’s popular “Countdown to Christmas” programming campaign. Joining Hodges in the cast are Tricia Helfer (“Battlestar Galactica,” “The Firm”), Mark Lutz (“Ghost Whisperer”) and Cristina Rosato (“Perfect Plan”). "I've always loved performance art period," says Hodges. "It was choir and musicals in High School, and then on to theatre and television studies in College. I’ve always been passionate about cinema, as a viewer and an actor. Names like Paul Newman, Robin Williams, Oliver Stone and Steven Spielberg will always have my praise. Being able to work on this movie with Hallmark Channel was an amazing experience and opportunity for me. I'm very thankful and excited that all of my fans now get to see another side of my artistry." Hodges' character in "Finding Christmas" -- Owen -- is an aspiring musician and puts his singing talents to good use when he performs "Joy to the World" in the movie during an open-mic night at a New York City Club. Hodges' version of “Joy to the World” heard in Finding Christmas will be available for digital download on iTunes starting November 5. 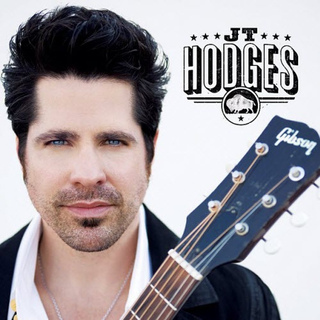 Hodges will be releasing new music from his sophomore album in the new year. For more information go towww.jthodges.com.